One of the things Joe Six Pack rarely understands about incidents like the tragic shooting of Tamir Rice is the fact that cops respond with the information they have, not the information they don’t. Between the caller, the dispatcher, and the response, there were plenty of opportunities for things to go sideways. Maybe the caller says, “It looks like it might be a toy gun,” but the dispatcher fails to convey that information. In Ohio, a special prosecutor says a 911 caller won’t be charged for reporting a man waving a gun in an Cincinnati Wal-Mart before police fatally shot him. The decision by Mark Piepmeier was met with a mixed response. Piepmeier is the same prosecutor who presented the case to a grand jury. 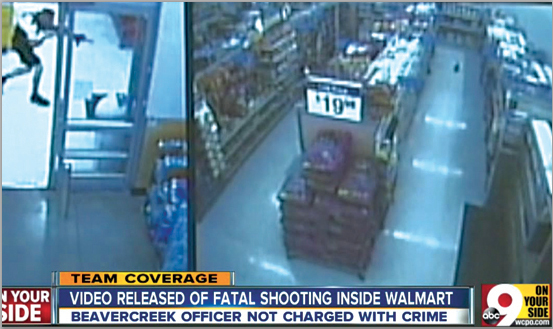 That jury determined that the August 2014 shooting of 22-year-old John Crawford III at the Beavercreek store, near Dayton, was justified. The 911 caller told investigators he thought Crawford had a real firearm, but it was actually an air rifle Crawford had picked up from the shelf.